It is with great excitement that we are announcing the newest Swim Guide affiliate, Sound Rivers! They bring a long history of conservation and advocacy to our growing Swim Guide network in the state of North Carolina. Founded in 2015 with the merger of two of the state’s oldest grassroots conservation organizations, Sound Rivers combines the deep history of advocacy in the Neuse River Foundation, established in 1980, and the Pamlico-Tar River Foundation, established in 1981. This union has allowed Sound Rivers to become a powerful advocate for protecting some of North Carolina’s most cherished waterways, and bolstering their impact as a result. Sound Rivers is a private nonprofit organization that guards the health and natural beauty of the Neuse and Tar-Pamlico River Basins. They frequently partner with concerned citizens to monitor, protect, restore and preserve the watersheds covering nearly a quarter of North Carolina’s land mass. Their primary goal is to provide clean water to local communities for consumption, recreation, nature preservation and agricultural use. Sound Rivers has three full-time Riverkeepers® who monitor and protect the Neuse and Tar-Pamlico River Basins, serving as scientific experts and educational resources to schools and communities in the watershed. Their programming is built around three main areas: education, protection and restoration. Education initiatives focus on working with media, government, community groups, and other NGO’s to inspire the next generation of conservationists. Protection initiatives involve daily monitoring and progressive action done in the attempt to stop and mediate pollution. Restoration projects aim to ensure citizens have access to clean water. The Neuse River flows 443 km (257 mi) through North Carolina, making it the longest river completely contained within the state. The river itself has a long history of civilization, having been home to several Indigenous peoples, include the Neusiok from whom it gets its name. Its geography is typical of the region, with the exception of the “Cliffs of the Neuse” where the river cuts a gorge through limestone bluffs. 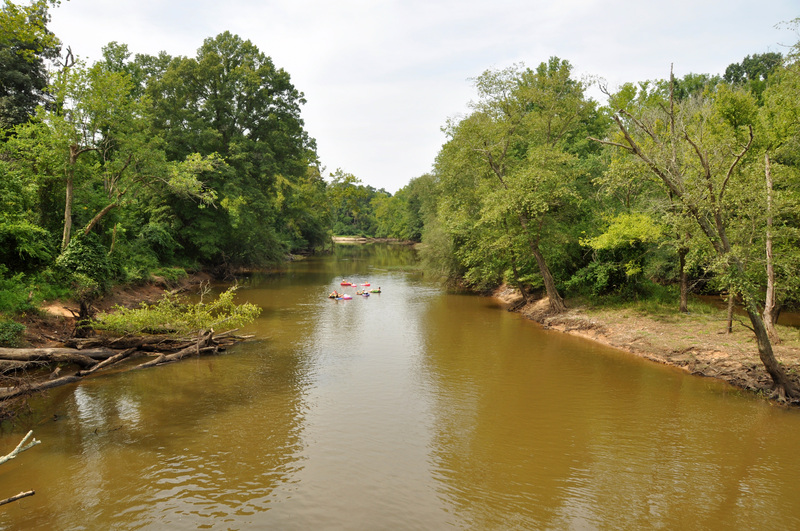 The Tar-Pamlico River Basin is formed by two ecologically distinct pieces of the same river. Flowing 290 km (180 mi), the Tar section is a freshwater stream in the Piedmont, which changes to brackish water when entering the Pamlico. The Tar-Pamlico River basin is the third largest in the state, and is a diverse and ecological important region featuring critical wetland habitat. Sound Rivers is the leading body working to protect these vital watersheds.